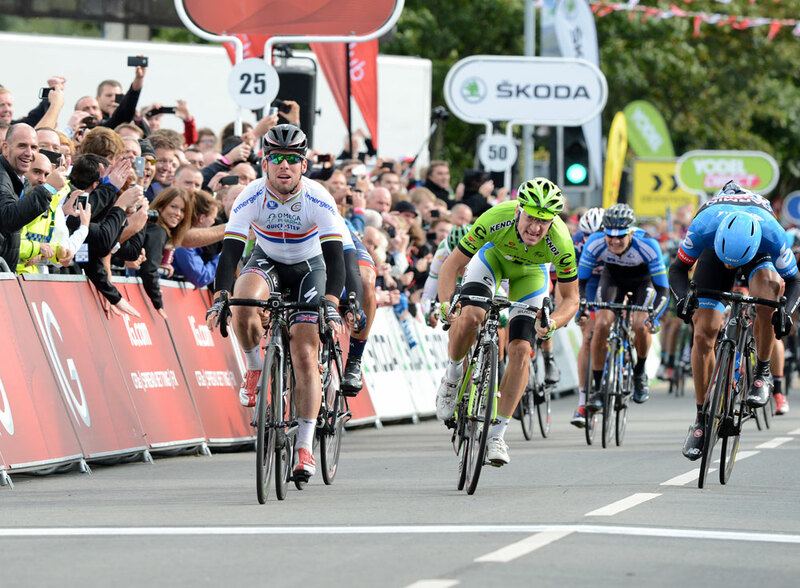 Mark Cavendish (Omega Pharma-QuickStep) made it two stage wins in succession for the home nation at the Tour of Britain, piping Italian Elia Viviani (Cannondale) on the line in a close-fought bunch sprint. 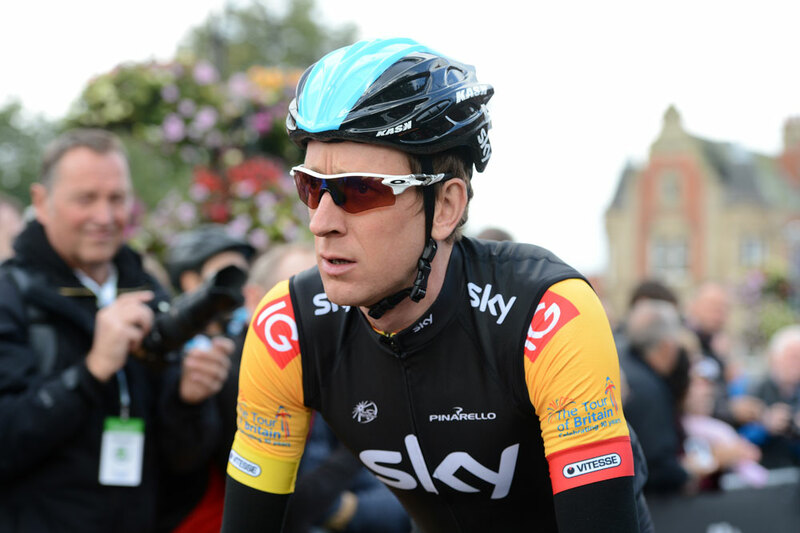 In a good stage all-round for British riders, Bradley Wiggins (Sky) finished safely in the bunch to hold onto his gold jersey, having defended attacks from Dan Martin (Garmin-Sharp), Nairo Quintana (Movistar) and Jack Bauer (Garmin-Sharp). However, the main drama of the day involved the touch-and-go race between the bunch and the initial escape group. Eleven riders – including Heinrich Haussler (IAM Cycling), king of the mountains leader Angel Madrozo (Movistar) and Alistair Slater (Great Britain), the highest rider on the GC present – went clear early on, and still held a lead of around two minutes going into the final 15 kilometres. Their lead was reduced from the attacks of the Garmin riders Bauer and Martin on the category three Pen-y-Pass around 10 kilometres from the finish, but as the race entered its endgame the break still harboured hopes of hanging on. It was not until just one kilometre from the line that the break was finally caught, following a flurry of ultimately fruitless attacks from riders in the escape. Then the race became all about the run-up to the final bunch sprint. 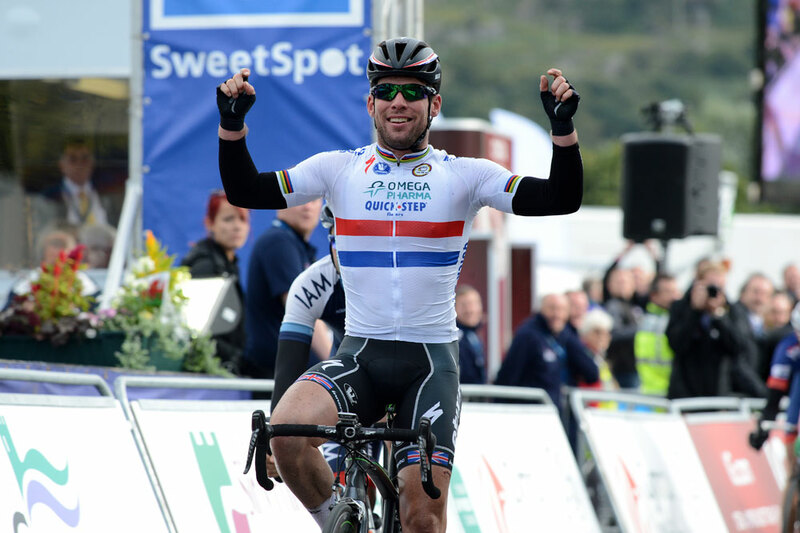 Cavendish has veteran Alessandro Petacchi (Omega Pharma) to thank for delivering an impressive lead out, which put the Manx Missile in a strong position to sprint for the stage win. Italian Viviani was close behind but never looked quick enough to pass Cavendish, while Garmin’s Steele Von Hoff finished third, despite nearly falling off at the finish line after clipping Viviani’s wheel.